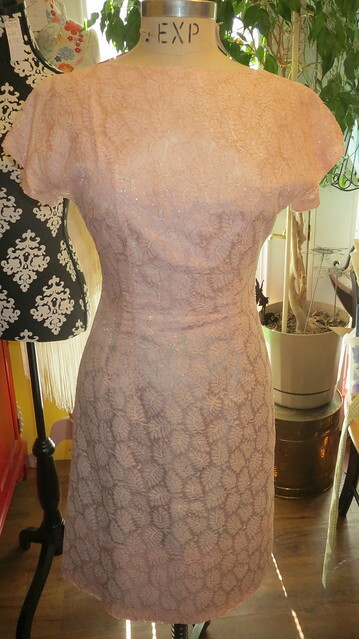 This is a very lacey sheath dress. 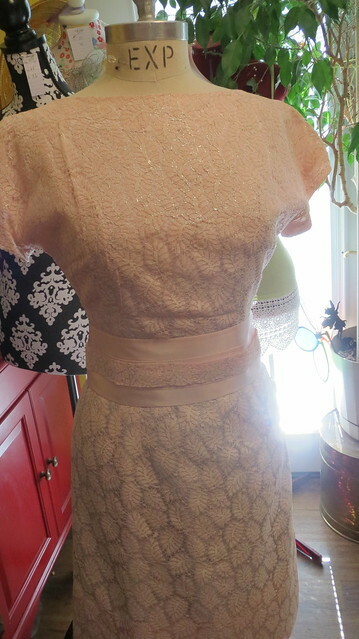 It has a belt that can be worn with it if you like also bow can be front or back of the dress. So it has 3 different looks for the front and 3 different looks for the back. 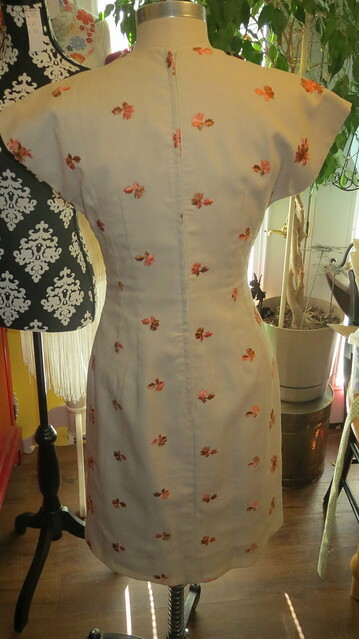 This is a lovely linen dress that has rayon flowers embroidered into the fabric. Here is a surprise to my sisters here is one we had not photographed before. 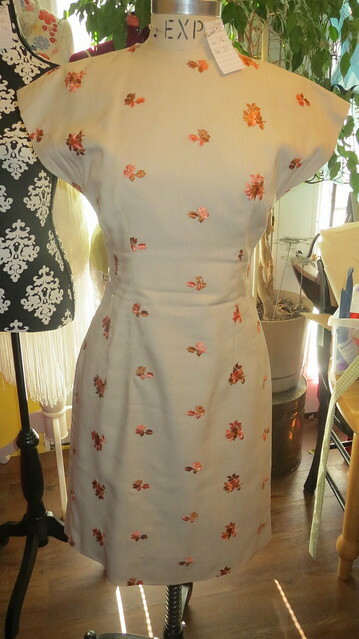 Some of these dresses I will repair some I am not sure I will yet and some are sort of unrepairable moth holes. 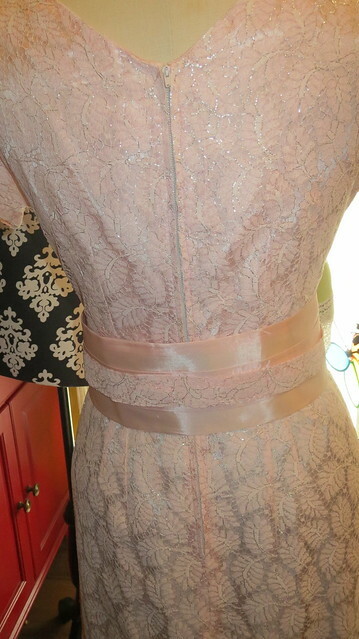 Also some of the dresses have labels but some of the labels look like labels local seamstresses would have used. 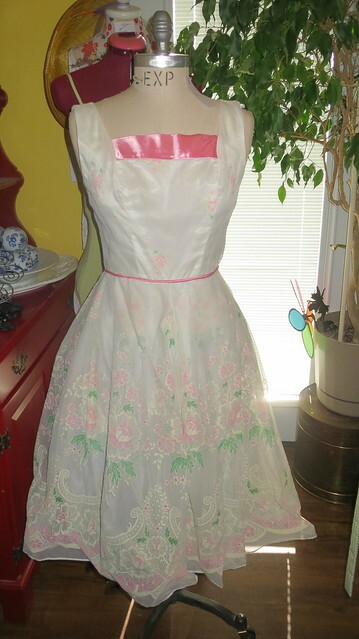 I am posting dresses for my sister in laws who live far away so they can see mom's dresses. We are planning on doing a sisterhood of the traveling dresses. 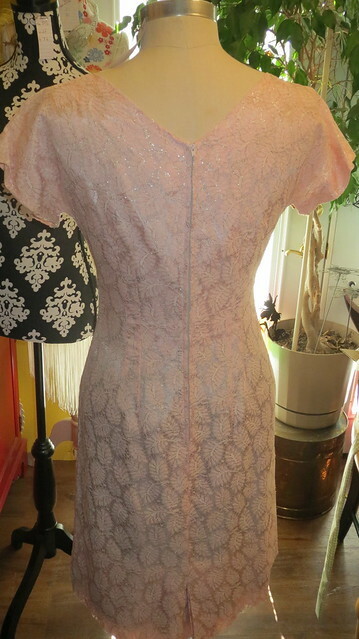 I am going to post the sizes and what needs repair and pictures of the dresses so if one of my sister in laws or nieces wants to wear one they can check the sizes of the dress and if it will work for them for a formal. 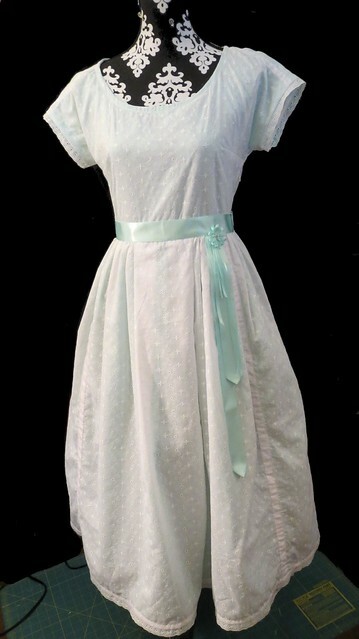 Then the dress will be shipped to them and they wear and clean and ship back. At least that is how I think it is supposed to work. All the dresses will be from the 1950's to the 1970's. 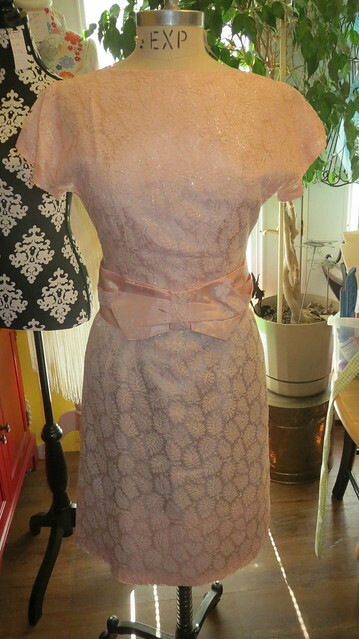 So check back each day to see the new vintage dress on display. 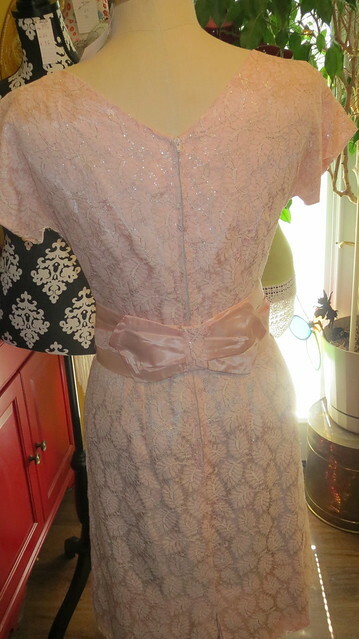 to see all of them click on mom's dresses on the side bar. One was already posted as my daughter wore one so it was already repaired and back at Dad's house. I have been helping with the current production of Shakespeare. This years play was Much Ado About Nothing. Next year it will be A Comedy of Errors. My oldest daughter got to be in the production this year as the blue narrator. I can't believe all the things she memorized and no one at home ever helped her to do it. It was all on her own pretty impressive considering it was an 1 and a half hour show and she had lines through out the entire play. I made a few things for this years show several 14 hats for the men characters to wear, 4 beaded hats for a few of the girls to wear, the four narrator costumes, and of course I fixed lots of old costumes as always. click on photos for bigger image. 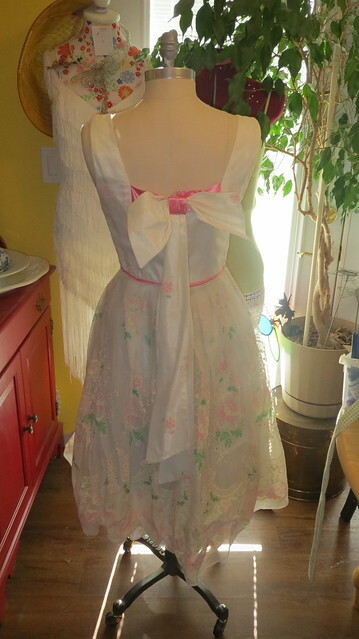 This is the dress that I made for my daughter this past weekend. She got a lot of compliments at church today she said over 40 people stopped her to comment on how much they liked it. My middle daughter told me Friday that she did not have a dress for her concert performance for Tuesday. She is a tween and nothing ever fits her when we go to the store to look for dresses so we figured we had to sew it just like last time. Going through my patterns. I found out that her measurements put her all over the board on what size clothes she could fit. Meaning no pattern would fit her well either. 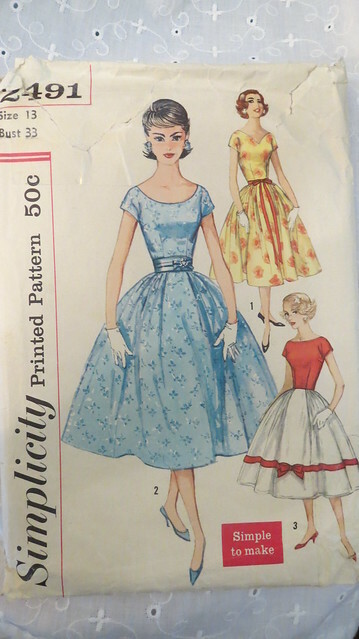 So we found a vintage pattern , simplicity 2491 view 2, in my collection that was a little loose in the chest area but too tight in the waist we figured if we dropped the front darts it would fit her as her waist has yet to start to get smaller should start happening in the next 6 months. Because of this no little girl patterns fit her and not teen to adult patterns fit her either. 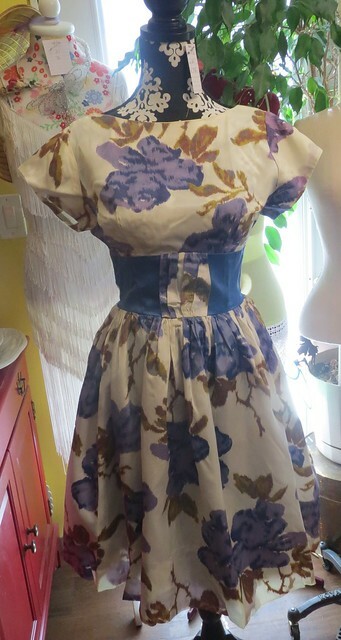 I figured the waist measurement would not matter in a loose dress like this ie 3 inches too big at the bust. Also it being about 3 inches loose would give her ease of movement plus growing room. I did a little for this play this year. 4 over coats for narrators, 1 dress for a narrator, 10 hats for the boys a few hats for the girls a few wedding veils for the girls, repairs to older costumes, loaned a few masks for the ball scene.... Pictures will follow when I get the items back did not have time to photograph them before they left my house already in dress rehearsals.